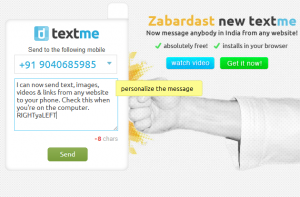 Textme is a free send-to-mobile service that allows you to easily send videos, images, links & texts from your browser to any mobile phone in India. 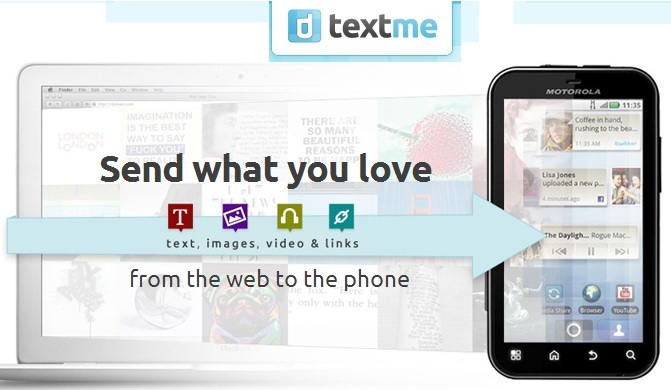 Textme supports all major browsers and works on all computers. You don’t need to have a smartphone or any kind of app. 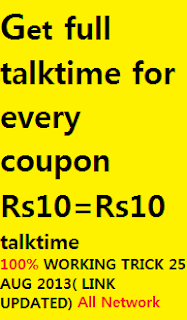 It installs in your browser and immediately lets you share messages with friends. Say you need to share a page link. Clicking the textme button quickly shares the link of the page you were on with any mobile number. Sending an address, joke or article snippet is as easy as selecting the text and clicking the textme button. Only the selected text will be sent to the mobile. Images and videos can be similarly sent via an image/video link. Right click on an image and select textme from the menu that appears.